Does my horse need an adjustment? Determining if your horse would benefit from a chiropractic adjustment can be done with the help of your veterinarian and by learning to observe your horse in a critical manner. While chiropractors are trained to notice subluxations, riders, owners, and trainers can also monitor their horse’s musculoskeletal health both under saddle and from the ground. When analyzing your horse, take note of changes in behavior such as opposition to saddling or mounting, lameness, gait irregularity, and difficulty with a specific lead or flying lead changes. From the ground, examine your horse’s mobility and symmetry. Neck flexions using a carrot or treat can help to assess the range of motion of your horse’s cervical spine, while gentle palpation along the back can highlight excessive sensitivity and soreness along the thoracic and lumbar regions. Be sure to notice any atypical elevations, protrusions, heat, or sores along the back and neck. Does one tuber sacrale (also known as the “hunter’s bump”) stand just a little higher than the other? Do you noticed any loss of musculature? Is his tail consistently positioned to one side? Perhaps he fractured his tuber ischii (the point of the buttock) at one point causing asymmetrical musculature around his tail head? All of these observations are key to further understanding your horse’s back and his methods of locomotion. Do horses performing different disciplines present in different ways? As riders, we use our horses in a variety of disciplines ranging from the weekend trail warrior to the highly athletic polo pony. 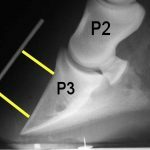 In turn, some horses with a specific use are predisposed to developing certain subluxation patterns compared to others performing a different job or at a different level. For example, dressage or barrel horses often have difficulty with bending and lateral movements, poor engagement of the hind limbs, or an overall lack of suppleness. In show jumpers, a subluxation may manifest as difficulty rounding the back, landing in a cross canter, or difficulty with lead changes. Gaited horses will often demonstrate an irregular rhythm to their gait, instability or weakness in transitions, and a tendency to lean on the bit. 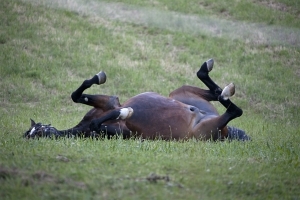 Endurance horses may display soreness in the back or neck, and decreased performance. If your horse is experiencing symptoms similar to those mentioned above, consult with your veterinarian about pursuing a diagnostic workup and treatment plan. Hey, it may even be time to call the chiropractor! What causes vertebral subluxation complexes? A number of factors may be responsible for the misalignment of your horse’s spine. Common causes include trauma (falls, trips, casting, etc. ), strain and fatigue from performance, procedures under general anesthesia, transportation (long trips, accidents, bad shock absorption, bad driving), dystoicas (obstructed labor), the inability to roll, buck, or gallop to release tension, stall rest, problems with the rider’s seat, incorrect hoof care, poor saddle fit, and increasing age. There are several components of the horse’s musculoskeletal system that should be considered to insure optimal spinal health. Conformation plays a crucial role in the musculoskeletal soundness of an equine athlete. For example, a long back will predispose a horse to soft tissue injuries and increased stress at the lumbosacral joint. An upright shoulder can lead to the development of premature osteoarthritis in the forelimb as well as navicular syndrome and side bone formation. Choosing the correct body type for the discipline you plan to pursue is paramount to establishing realistic expectations pertaining to the success and soundness of your horse. Once your horse is under saddle, developing a training regimen that slowly develops the muscles of the back, core, neck and haunches will help keep the musculature of the spine strong and supported which in turn will help prevent subluxations. Some horses may also benefit from concurrent massage work as it encourages increased circulation to the muscle fibers, relaxes tension, and promotes overall musculoskeletal health. Well-fitting saddles and equipment are paramount to maintaining optimal spinal function as is the appropriate use of training aids. Poorly fit saddles and contortion of the spine in abnormal positions from the improper use of training aids both contribute to the development of VSCs. It is important to keep in mind that in most cases, a single chiropractic treatment is not enough to resolve an issue. Chronic problems will take longer, while acute problems may respond more quickly to adjustments. A proper chiropractic treatment plan has many benefits. 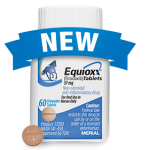 It serves to maintain the health of our horses, can be used as a preventative treatment, and maximizes performance potential. Additionally, chiropractic work focuses on treating the cause of an issue rather than just the symptoms. If you think your horse would benefit from a chiropractic adjustment, please don’t hesitate to give us a call to schedule an appointment.